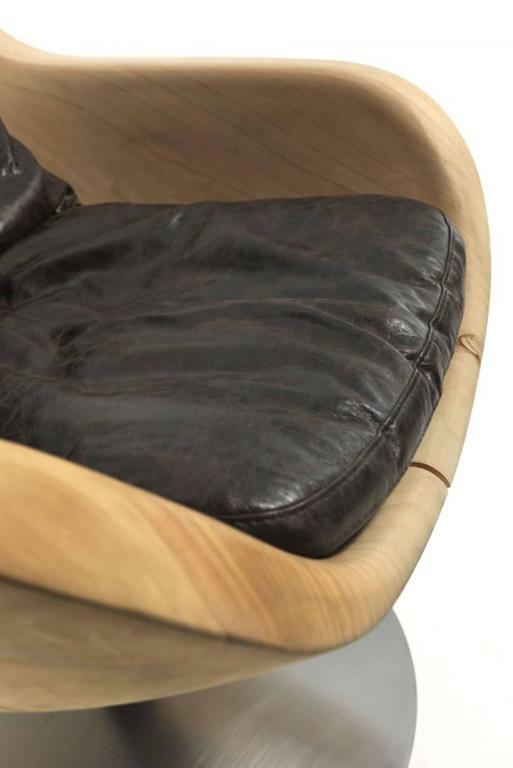 Armchair desk in natural solid cedar wood on rotative metal base with vintage leather covering pillow. 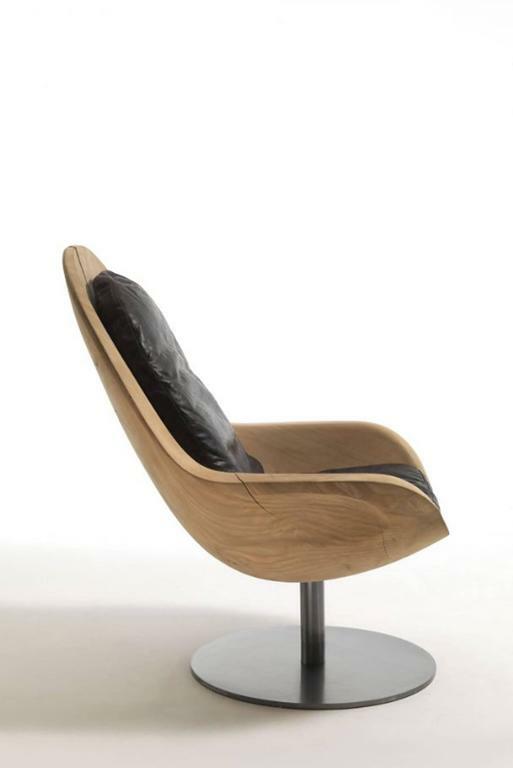 Armchair island in natural solid cedar wood, polished wood, on rotative metal base. 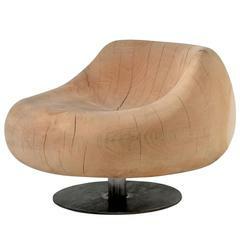 Armchair Bahamas in natural solid cedar wood, polished wood. 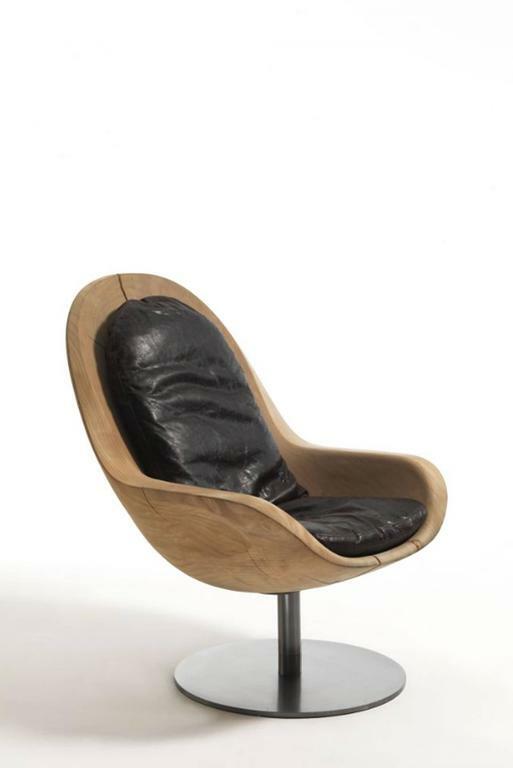 Available in burnt cedar wood, price: 7550,00€. 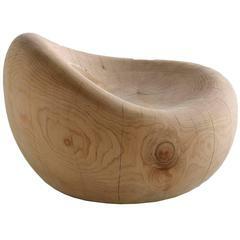 Optional rotative base. . 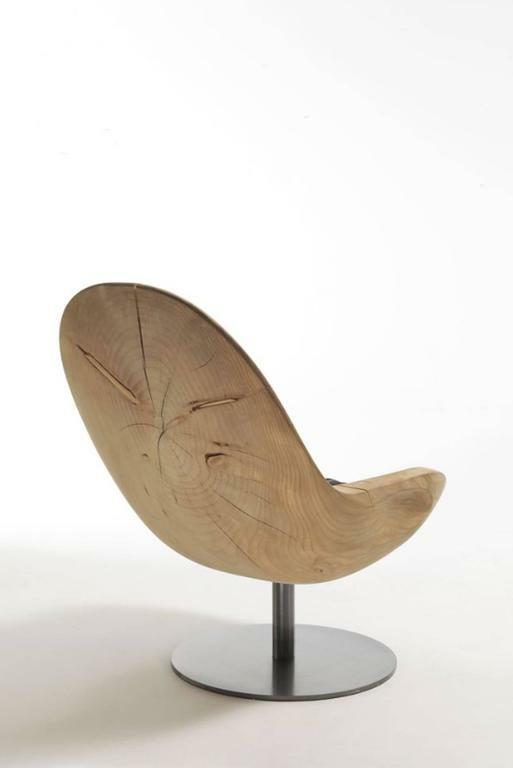 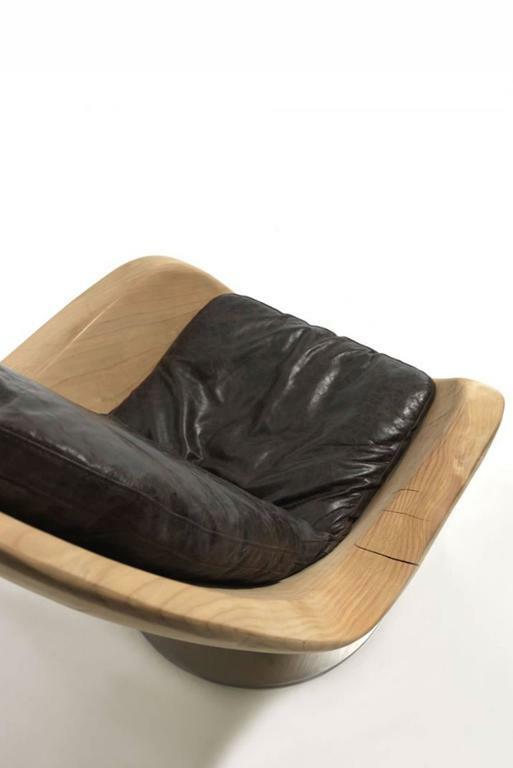 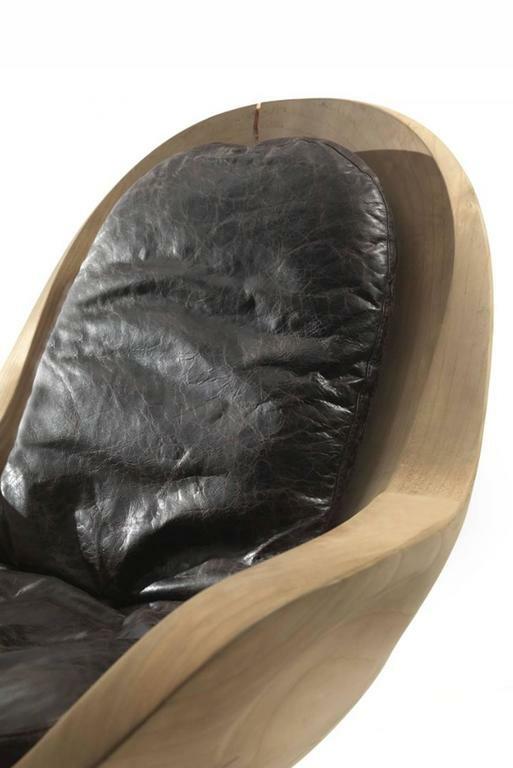 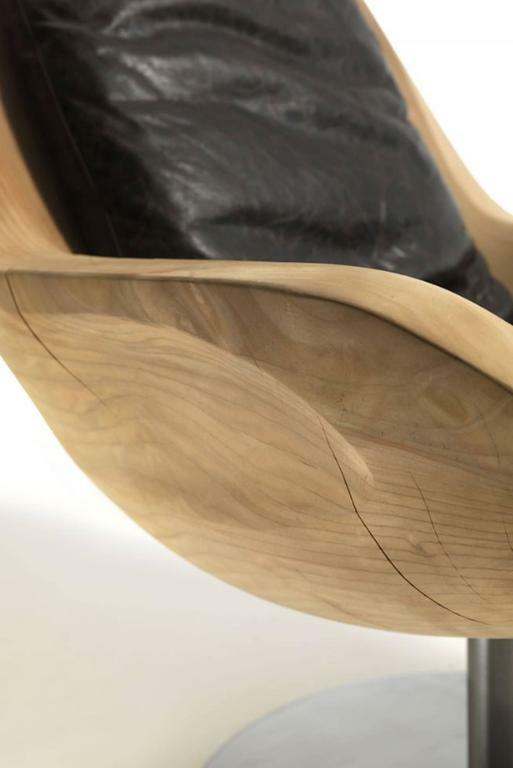 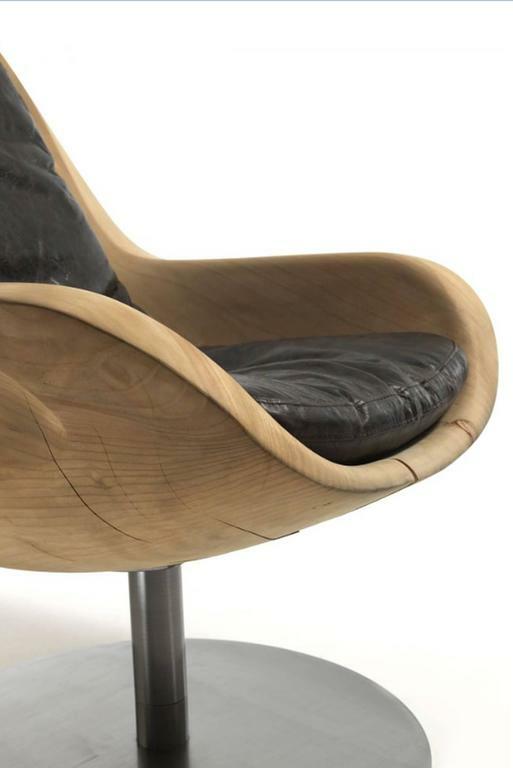 This model armchair was designed by José Espinho for Olaio produced in Portugal in the 1950s. 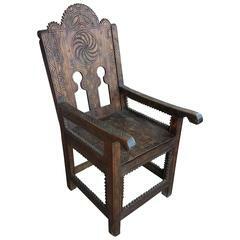 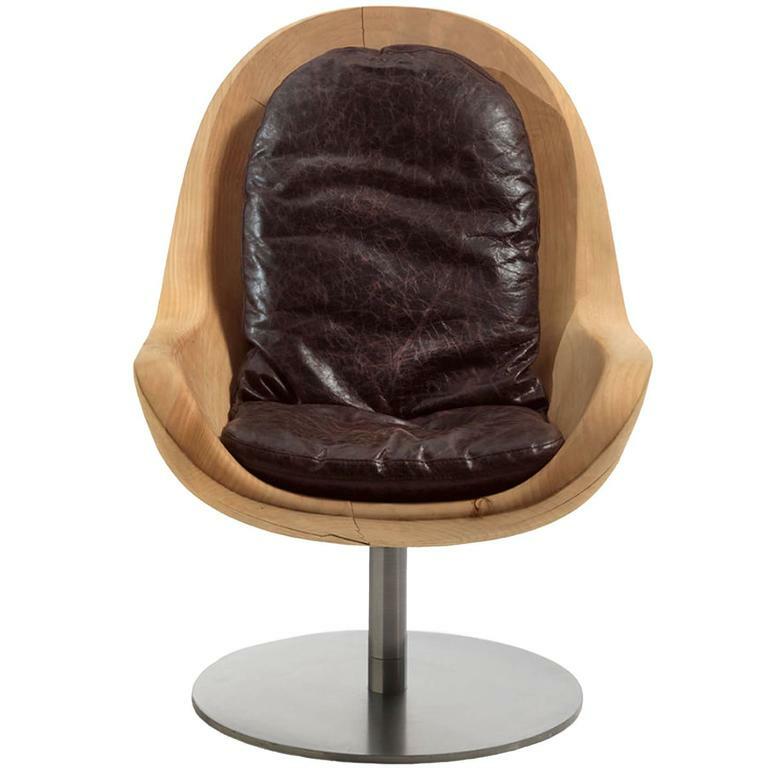 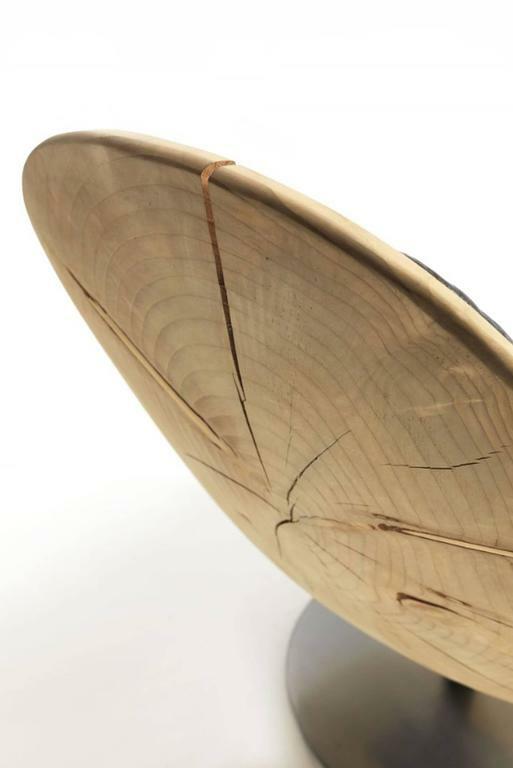 Made from cedar wood with original upholstery.